Creative and stunning stage lighting is a key element in any visual presentation. 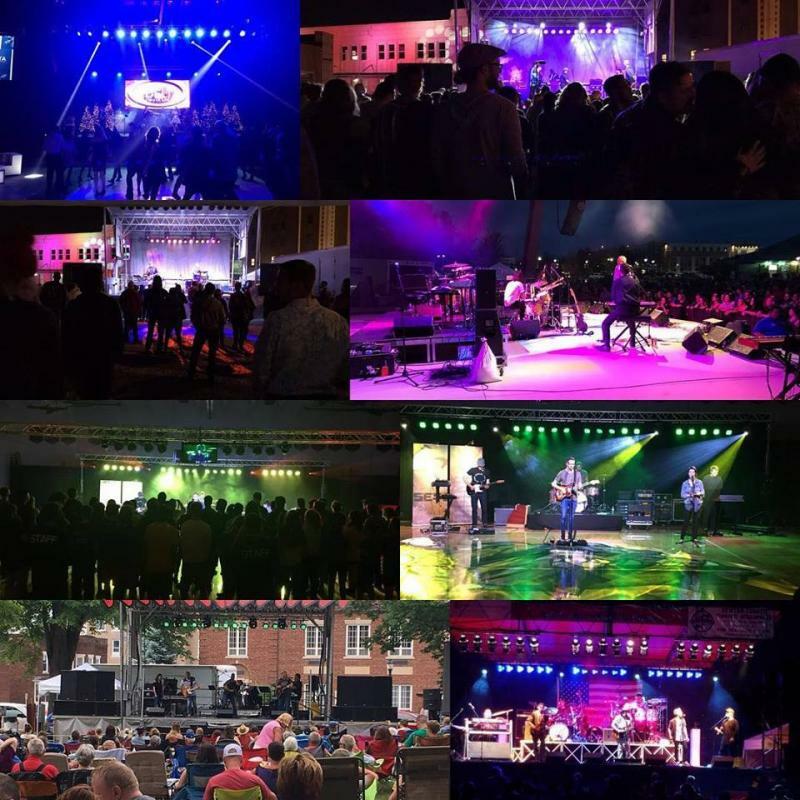 Sizzlin Sound Productions works has talented lighting designers to illuminate venues, music festivals, corporate events, and fundraising galas. Sizzlin Sound Productins boasts an impressive portfolio of performance lighting projects maintaining the latest technology available in conventional and LED lighting equipment. A diverse inventory of lighting equipment and over 26 years of experience helps us to create the ultimate vision, convey compelling themes and produce powerful displays of light.